Shariq Mohammmed is a dedicated assistant professor, department of accounting and Finance at Dhofar University in Sultanate of Oman. He is holding a PhD in Banking from Uttar Pradesh Technical University, Lucknow, India. He has published many research papers in prestigious Scopus indexed journals. He is a member in various editorial boards of research journals. 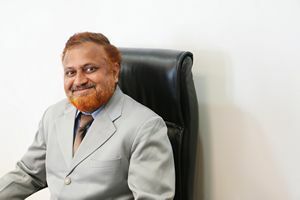 Course Equivalency Committee, Department of Accounting and Finance Recruitment Committee & Publicity Committee In the past he has worked for various committees including Staff support services committee, committee to make syllabus for masters of accounting program. Teaching methods/style: I derive a sense of satisfaction once I have taught my subject honestly and have imparted a sense of enquiry among my students. My teaching philosophy is to facilitate learning naturally. Marketing Communications, CRM, Marketing Management, Strategic Management and Operations Management. Supervised four PHD Theses successfully in addition to over 60 MBA/ diploma level dissertations.